José-Luis Orozco is a bilingual educator, children’s author, and recording artist who has dedicated his life to creating quality bilingual music, books, and videos for children. He encourages learning of the Spanish language and promotes Latin American culture through his art. His rich catalog includes 15 CDs, a DVD, and 3 award-winning songbooks – a collection that has garnered over 2 million in sales. Each year, he shares his music in live performances for over 100,000 educators at education conferences nationwide, who then integrate his music into their classroom curriculum. In 2013, he celebrates a career milestone, his 40-year anniversary creating bilingual children’s music, with a Fall Tour, an online contest giving fans a chance to win a free concert at their local school, special collector’s bundles of his products available online, and a new 20-track compilation album titled Favorite Spanish Songs for Kids with José-Luis Orozco, released in partnership with the Duck Duck Moose label, that features some of the most beloved and popular children’s songs, like “Itsy Bitsy Spider,” and “Old MacDonald" in Spanish. The inspiration for his long and fruitful career happened very early in José-Luis’ life. Born in Mexico City, José-Luis Orozco grew fond of music at a young age, learning many songs from his paternal grandmother. At age 8, José-Luis became a member of the Mexico City Boy's Choir, and traveled the world visiting 32 countries in Europe, the Caribbean, Central and South America. It was from his tour around the world that he gained the cultural knowledge he now shares with children through his books and recordings. At age 19, José-Luis moved to California in search of the American dream. He went to college and earned his Bachelor's degree from the University of California, Berkeley, and a Master's degree in Multicultural Education from the University of San Francisco. After completing his Master’s program, José-Luis dedicated himself to what he truly enjoys — singing and writing for children. Throughout the years, he has tirelessly researched and recorded 13 volumes of the Lírica Infantil series (Latin American Children's Music). He has also written three successful award-winning bilingual books, De Colores (Dutton 1994), Diez Deditos (Ten Little Fingers) (Dutton 1997), and Fiestas(Dutton 2002), that present an extraordinary collection songs, rhymes, tongue twisters, lullabies, and games from various Spanish-speaking countries. In 2003, José-Luis released an exciting DVD titled Cantamos y Aprendemos con José-Luis Orozco (Singing and Learning with José-Luis Orozco), filled with live action, animation, and Latino flavor that motivates children to learn about the Spanish language and the rich tradition of Latin American children's music. José-Luis Orozco's 2009 book release Rin, Rin, Rin, Do, Re, Mi, richly illustrated by Caldecott Medal winner, David Diaz, is a delightfully, lyrical bilingual (English and Spanish) children's book which shows how everyday family activities such as cooking, singing, reading and storytelling foster essential early literacy skills such as letter recognition and language development. Rin, Rin, Rin, Do, Re, Mi is a book in a series set for publication and distribution by Scholastic's Latino initiative Lee y Serás (Read and You Will Be), which was created to improve the reading and literacy development of Latino children. The “Rin, Rin, Rin/Do, Re, Mi” single was produced by GRAMMY® award-winning producer KC Porter. In 2012, José-Luis released the Caramba Kids album, a collection of 6 educational songs recorded in Spanish and in English, with “Rin, Rin, Rin, Do, Re, Mi” as a bonus track. The Caramba Kids songs teach the alphabet, counting, greetings, colors, and more. Favorite Spanish Songs for Kids with José-Luis Orozco, is the latest album, released spring 2013, in partnership with the Duck Duck Moose label, creator of award-winning educational mobile apps and digital downloads for children. Favorite Spanish Songs for Kids with José-Luis Orozco features some of the most beloved and popular children’s songs, like “The Wheels on the Bus,” and “Good Morning" in Spanish. Through the years José-Luis has been honored to receive awards and recognition from high-level organizations. In 2003 and 2005 he was invited to participate in the National Book Festival organized by the Library of Congress and hosted by First Lady, Laura Bush. During the festivities in 2003, the Congressional Hispanic Caucus in Washington, D.C. honored Mr. Orozco. In the spring of 2009, José-Luis received recognition and was honored by the Association of Bilingual Directors affiliated with the Los Angeles County Office of Education (LACOE). Most recent were the 2011 Latino Spirit Award presented by the California Latino Legislative Caucus, and the Lifetime Achievement in the Arts Award presented to him by the Mexican American Legal Defense and Educational Fund (MALDEF). 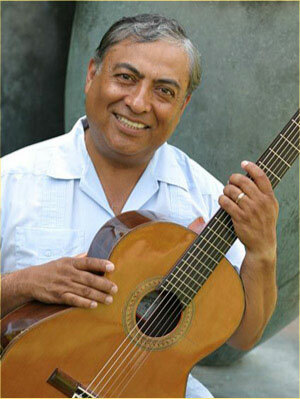 José-Luis Orozco is an acknowledged expert in children's music and is a featured speaker and presenter at educational conferences and seminars for teachers, parents, librarians and childcare providers who seek to use music as an important learning tool in multicultural classrooms. He continues to perform for children throughout the country and world at concert halls, libraries, bookstores and schools. José-Luis Orozco is the father of four and grandfather to two children. He currently lives in Los Angeles, California.